Under our revised policy, pursuing individuals responsible for wrongdoing will be a top priority in every corporate investigation. It is important to impose penalties on corporations that engage in misconduct. Cases against corporate entities allow us to recover fraudulent proceeds, reimburse victims, and deter future wrongdoing. Corporate-level resolutions also allow us to reward effective compliance programs and penalize companies that condone or ignore wrongdoing. But the deterrent impact on the individual people responsible for wrongdoing is sometimes attenuated in corporate prosecutions. Corporate cases often penalize innocent employees and shareholders without effectively punishing the human beings responsible for making corrupt decisions. The most effective deterrent to corporate criminal misconduct is identifying and punishing the people who committed the crimes. So we revised our policy to make clear that absent extraordinary circumstances, a corporate resolution should not protect individuals from criminal liability. Our revised policy also makes clear that any company seeking cooperation credit in criminal cases must identify every individual who was substantially involved in or responsible for the criminal conduct. In response to concerns raised about the inefficiency of requiring companies to identify every employee involved regardless of relative culpability, however, we now make clear that investigations should not be delayed merely to collect information about individuals whose involvement was not substantial, and who are not likely to be prosecuted. We want to focus on the individuals who play significant roles in setting a company on a course of criminal conduct. We want to know who authorized the misconduct, and what they knew about it. The notion that companies should be required to locate and report to the government every person involved in alleged misconduct in any way, regardless of their role, may sound reasonable. In fact, my own initial reaction was that it seemed like a great idea. But consider cases in which the government alleges that routine activities of many employees of a large corporation were part of an illegal scheme. When the government alleges violations that involved activities throughout the company over a long period of time, it is not practical to require the company to identify every employee who played any role in the conduct. That is particularly challenging when the company and the government want to resolve the matter even though they disagree about the scope of the misconduct. In fact, we learned that the policy was not strictly enforced in some cases because it would have impeded resolutions and wasted resources. Our policies need to work in the real world of limited investigative resources. Companies that want to cooperate in exchange for credit are encouraged to have full and frank discussions with prosecutors about how to gather the relevant facts. If we find that a company is not operating in good faith to identify individuals who were substantially involved in or responsible for wrongdoing, we will not award any cooperation credit. I link the IRS's new guidance on voluntary disclosure. Memorandum from Kristen B. Wielobob, Deputy Commissioner for Services and Enforcement, re Voluntary Disclosure Practice (LB&I-09-1118-014 dated 11/20/18), here. The memorandum is short (5 pages) and straight-forward. I encourage all practitioners and affected taxpayers to read it carefully. I will try to summarize what I think are the key points on my initial reading. 1. The guidance applies to all voluntary disclosures, whether offshore or otherwise, received after 9/28/18. Readers will recall that that date was the conclusion of the IRS's OVDP 2014, the program (with predecessors) that applied to offshore voluntary disclosures. But, remember that this guidance applies to all voluntary disclosures. The objective of the voluntary disclosure practice is to provide taxpayers concerned that their conduct is willful or fraudulent, and that may rise to the level of tax and tax-related criminal acts, with a means to come into compliance with the law and potentially avoid criminal prosecution. For those without criminal exposure, as with OVDP, the IRS has other procedures, including filing amended returns (that may be qualified amended returns avoiding the accuracy related penalties) and the special procedures for correcting offshore filings outside OVDP. 3. The practice covers tax and tax-related criminal acts, so tax-related FBAR violations are included. 4. Voluntary disclosure starts with the taxpayer submitting to CI a preclearance request under "a forthcoming revision of Form 14457." The current version of Form 14457, titled Offshore Voluntary Disclosure Letter, is here. "IRM 9.5.11.9 will continue to serve as the basis for determining taxpayer eligibility." IRM 9.5.11.9 is here. 5. Upon acceptance, the taxpayer is notified and the case then processed for civil examination (going through LB&I Austin). The case will be transferred to the appropriate civil division for examination. All voluntary disclosures will follow "standard examination procedures," requiring that examiners develop the case with its usual information gathering tools. i. In voluntary disclosures not resolved by agreement, the examiner has discretion to expand the scope to include the full duration of the noncompliance and may assert maximum penalties under the law with the approval of management. ii. In limited circumstances, examiners may apply the civil fraud penalty to more than one year in the six-year scope (up to all six years) based on the facts and circumstances of the case, for example, if there is no agreement as to the tax liability. iv. Willful FBAR penalties will be asserted in accordance with existing IRS penalty guidelines under IRM 4.26.16 and 4.26.17.
v. A taxpayer is not precluded from requesting the imposition of accuracy related penalties under I.R.C. § 6662 instead of civil fraud penalties or non-willful FBAR penalties instead of willful penalties. Given the objective of the voluntary disclosure practice, granting requests for the imposition of lesser penalties is expected to be exceptional. Where the facts and the law support the assertion of a civil fraud or willful FBAR penalty, a taxpayer must present convincing evidence to justify why the civil fraud penalty should not be imposed. vi. Penalties for the failure to file information returns will not be automatically imposed. Examiner discretion will take into account the application of other penalties (such as civil fraud penalty and willful FBAR penalty) and resolve the examination by agreement. viii. Taxpayers retain the right to request an appeal with the Office of Appeals. d) The Service will provide procedures for civil examiners to request revocation of preliminary acceptance when taxpayers fail to cooperate with civil disposition of cases. I have previously written on joint defense agreements, both generally and in relationship to the special counsel investigation. I collect the more pertinent prior blog entries related to Trump at the end of this blog entry. I post this blog today because of the startling developments where Manafort's lawyers shared the information from Manafort's supposed / feigned cooperation with Trump's lawyers, a truly startling development. I offer an excellent opinion piece: Ken White, Why Did Manafort Cooperate With Trump Over Mueller? (NYT 11/28/18), here. Mr. White is (per the bio on the bottom): "a former federal prosecutor, is a criminal defense lawyer and First Amendment litigator at Brown White & Osborn in Los Angeles, and a host of 'All the President’s Lawyers,' on radio station KCRW." I have worked extensively and written on joint defense agreements and believe that Mr. White's discussion is spot on. Highly recommended. All the President's Joint Defense Agreements (Federal Tax Crimes Blog 10/8/18), here. On Trump, Manafort and Joint Defense Agreements (Federal Tax Crimes Blog 9/14/18; 9/15/18), here. More On Joint Defense Agreements (Federal Tax Crimes Blog 5/15/18), here. On Joint Defense Agreements (Federal Tax Crimes Blog 11/23/17), here. As an aside, the biggest case in which I was involved with was a case that spawned many great opinions, but the principal opinion in the case was United States v. Stein, 541 F.3d 130 (2d Cir. 2008), here (notice how many lawyers were for the defendants in the case). I was quite familiar with JDAs before the Stein case, but dealt with JDAs in great nuance in that case. The fun fact of particular interest in the case was that the prosecution team included Kevin Downing of DOJ Tax Division (where I used to work) at the trial level. Kevin Downing is Manafort's lawyer (his picture is prominently displayed in the linked article.) Let's just say that he was not an easy guy for me to deal with then. Still, he is smart and very aggressive. Of course, for those taking the trouble to read the opinion, the prosecution's aggressiveness resulted in 13 defendants in the sprawling tax evasion case having their prosecutions dismissed for prosecutorial abuse. According to court documents, between 2006 and 2014, Israel Birman held offshore bank accounts in Israel at Bank Leumi and Israel Discount Bank. The accounts had balances over $10,000 each year, which required the filing of Reports of Foreign Bank and Financial Accounts (FBARs) with the Department of the Treasury. In 2013, Israel Birman’s bank accounts at Israel Discount Bank had a total value of over $3.4 million. Israel Birman did not file FBARs for 2006-2014. Israel Birman instructed Bank Leumi to hold bank mail from delivery to the United States, and obtained access to his offshore funds through the use of “back-to-back” loans from Bank Leumi USA collateralized by his undeclared Bank Leumi offshore funds. In 2009 and 2010, Israel Birman earned taxable interest income on his Bank Leumi bank accounts totaling over $187,000. He failed to report that interest income on his 2009 and 2010 federal tax returns. In December 2014, Bank Leumi entered into a deferred prosecution agreementafter the bank admitted to conspiring from at least 2000 until early 2011 to aid and assist U.S. taxpayers to prepare and present false tax returns by hiding income and assets in offshore bank accounts in Israel and other locations around the world. Under the terms of the deferred prosecution agreement, Bank Leumi paid the United States a total of $270 million and continues to cooperate with respect to civil and criminal tax investigations. As part of the plea agreement, Israel Birman has agreed to pay a civil penalty of not less than $1,709,883, representing fifty percent of the balance in his Israel Discount Bank account in 2013. In United States v. Nix, Case No. 2:17-CR-105-RSL (W.D. Wash. Nov. 21, 2018), here, a jury found Nix guilty of nine counts of attempted evasion of payment of taxes for the tax years 1998 and 2000-2007, four counts of attempted evasion of assessment of taxes for the tax years 2010-2013, eleven counts of presentation of fictitious financial obligations, and one count of corrupt interference with the administration of the Internal Revenue Code." The defendant moved to vacate the judgment and grant a new trial. At trial, the government introduced as evidence eleven money orders, purporting to be payments for defendant's tax debt, that were mailed to the Internal Revenue Service ("IRS") on defendant's behalf ("the Money Orders"). William C. Kerr, an "expert on financial fraud and fictitious instruments," was called as one of the government's witnesses. Mr. Kerr testified that the Money Orders were fictitious. Defendant also admitted that they were fictitious. Defendant filed a motion for a new trial on September 12, 2018. This is based on allegedly newly discovered evidence that shows that the Money Orders were not fictitious, as they have been monetized by the government and deposited in various financial funds. Defendant claims that, after the trial, he was "able to find a confidential source [who] [had] appropriate access to the necessary banking screens and ... was willing to research the instruments and provide such research data... under a private trust agreement that include[d] strict confidentiality and non-disclosure of the confidential source." This source allegedly used "the instrument numbers and personal identifying information of [defendant] to search the banking system..." and locate the Money Orders. Defendant also submitted a "Notice of and Assignment of Claim in Subrogation and Demand for Deposition of Charges," purporting to assign to the government all of his alleged property interests in these financial funds. (2) Aid or assistance Willfully aids or assists in, or procures, counsels, or advises the preparation or presentation under, or in connection with any matter arising under, the internal revenue laws, of a return, affidavit, claim, or other document, which is fraudulent or is false as to any material matter, whether or not such falsity or fraud is with the knowledge or consent of the person authorized or required to present such return, affidavit, claim, or document. This is often referred to as the substantive tax crime of "aiding and assisting." One person acting alone can be guilty of this crime and does not require another actor guilty of some crime. I focus on the second part dealing with aiding and abetting. The first part merely states the common law that the person committing the substantive offense is punishable as a principal. Of course, that person is a principal. A jury in the Northern District of California convicted a San Francisco area Certified Public Accountant late yesterday of three counts of aiding and abetting the filing of a false tax return, announced Principal Deputy Assistant Attorney General Richard E. Zuckerman of the Justice Department’s Tax Division and Acting U.S. Attorney Alex G. Tse for the Northern District of California. 1. The plea agreement, here. 2. The docket entries as of today, here. LB&I is moving toward issue-based examinations and a compliance campaign process in which the organization decides which compliance issues that present risk require a response in the form of one or multiple treatment streams to achieve compliance objectives. This approach makes use of IRS knowledge and deploys the right resources to address those issues. The focus of this campaign is to address U.S. taxpayers who engaged Offshore Service Providers that facilitated the creation of foreign entities and tiered structures to conceal the beneficial ownership of foreign financial accounts and assets, generally, for the purpose of tax avoidance or evasion. The treatment stream for this campaign will be issue-based examinations. The Foreign Account Tax Compliance Act (FATCA) was enacted in 2010 as part of the HIRE Act. The overall purpose is to detect, deter and discourage offshore tax abuses through increased transparency, enhanced reporting and strong sanctions. Foreign Financial Institutions and certain Non-Financial Foreign Entities are generally required to report the foreign assets held by their U.S. account holders and substantial U.S. owners under the FATCA. This campaign addresses those entities that have FATCA reporting obligations but do not meet all their compliance responsibilities. The Service will address noncompliance through a variety of treatment streams, including termination of the FATCA status. The objective of the Delinquent Returns Campaign is to encourage foreign entities to timely file Form 1120-F returns and address the compliance risk for delinquent 1120-F returns. This is accomplished by field examinations of compliance risk delinquent returns and external education outreach programs. 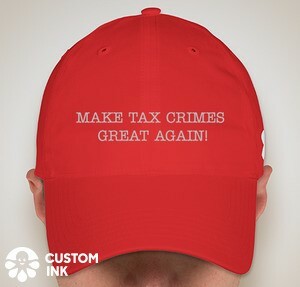 The campaign addresses delinquent-filed returns, Form 1120-F U.S. Income Tax Return of a Foreign Corporation. Form 1120-F must be filed on a timely basis and in a true and accurate manner for a foreign corporation to claim deductions and credits against its effectively connected income. For these purposes, Form 1120-F is generally considered to be timely filed if it is filed no later than 18 months after the due date of the current year's return. The filing deadline may be waived, in situations based on the facts and circumstances, where the foreign corporation establishes to the satisfaction of the commissioner that the foreign corporation acted reasonably and in good faith in failing to file Form 1120-F per Treas. Reg. Section 1.882-4(a)(3)(ii). LB&I Industry Guidance 04-0118-007 dated 2/1/2018 established procedures to ensure waiver requests are applied in a fair, consistent and timely manner under the regulations. I have previously blogged on the indictment and conviction of Michael Little, a lawyer and an offshore account enabler. I list the prior blogs at the end of this blog entry. In an Opinion and Order dated November 1, 2018, the district court denied Little's motion for acquittal and alternative motion for new trial. United States v. Little, 2018 U.S. Dist. LEXIS 187643 (S.D. N.Y. 2018), here. Essentially, he [little] argues that the evidence was insufficient with respect to the third element—willfullness—because the government failed to disprove his advice of counsel defense. This claim is meritless. An advice of counsel defense is an affirmative defense. As such, the burden is on the defendant to prove the elements of the defense, not on the government to disprove the defense. A successful advice of counsel defense requires the defendant to prove that he (1) honestly and in good faith sought the advice of counsel, (2) fully and honestly laid all the facts before his counsel, and (3) honestly and in good faith followed his counsel's advice, believing it to be correct and intending that his acts be lawful. United States v. Colasuonno, 697 F.3d 164, 181 (2d Cir. 2012). I think the court errs in saying that the advice of counsel defense is an affirmative defense requiring that the defendant bear the burden of proof. The defendant does bear a threshold burden on the issue, like a burden of production, to put the reliance on counsel defense in play. But the Government's burden of proof beyond a reasonable doubt is to prove willfulness and that requires the Government to disprove good faith (including reliance on counsel) when that "defense" has properly been put in play in the case. ¶ 12.05[b][ii] Blame others —tax professionals. A defendant will frequently assert that he or she lacked willfulness because he or she relied upon a tax professional. This is a Cheek argument in that the government failed to meet its burden to prove willfulness rather than a defense per se. The government thus has to show that the defendant did not rely upon the tax professional in order to show willfulness. n524 But, as in Cheek, the defendant has to put the “defense” in play by introducing some evidence of reliance on the tax professional. n525 Once the defendant does that, n526 it is then the government's burden to show that the defendant acted willfully, which means negating the taxpayer's claimed reliance. In United States v. Prelogar, 2018 U.S. Dist. LEXIS 188305 (D. Mo. 2018), here), the Court rejected the defendant's argument to dismiss the following count of tax evasion, § 7201 that defendant: "did willfully attempt to evade and defeat the payment of the Trust Fund Recovery Penalty ("TFRP") due and owing by him to the United States of America . . . and the payment of income tax due and owing by him to the United States of America." The first thing to note is that two types of evasion are alleged -- one for the TFRP and the other for income tax. I focus here on the allegation of tax evasion for the TFRP. Defendant's argument was simple. Tax evasion requires a tax to be evaded (or, in the language of the statute attempted to be evaded). The TFRP, as stated in § 6672, is a "penalty" rather than a tax. Therefore a person evading the TFRP is not evading tax and thus outside the scope of tax evasion. Count I charges that Defendant "did willfully attempt to evade and defeat the payment of the Trust Fund Recovery Penalty ("TFRP") due and owing by him to the United States of America . . . and the payment of income tax due and owing by him to the United States of America" in violation of 26 U.S.C. § 7201. Defendant argues that § 7201 does not apply to him because the TFRP owed is a penalty and not a tax. In support of this argument, Defendant quotes Section 7201, which prohibits the willful evasion of "any tax imposed by this title or the payment thereof." Id. (emphasis added). Initially, the Court notes that Defendant's argument does not justify dismissal of Count I because Count I alleges that Defendant attempted to evade the payment of both taxes and penalties. At best, Defendant's argument would justify only limiting the scope of Count I. Regardless, the Court does not agree with Defendant that § 7201 applies only to evasion of the tax itself. Section 7201 makes it unlawful to attempt "to evade or defeat any tax", and § 6671(a) states that "any reference in this title to 'tax' imposed by this title shall be deemed also to refer to the penalties and liabilities provided by this subchapter." 26 U.S.C. § 6671(a). As explained in the Report, a "plain reading of Section 6671(a) leads to the inescapable conclusion that a reference to 'tax imposed' in a statute under the Internal Revenue Code [Title 26] must be deemed to include a 'penalty' provided in the subchapter [Subchapter B: Accessible Penalties]." Therefore, Defendant's arguments with respect to Count I are rejected. In Defendant's objections to the Report, he argues that the Fifth Circuit supports his claim that a penalty is not a tax for the purposes of § 7201. (Doc. 68, p. 3. )1 In United States v. Wright, 211 F.3d 233 (5th Cir. 2000), the Fifth Circuit addressed whether petitioners could be prosecuted for tax evasion if they owed only interest and penalties. Wright, 211 F.3d at 236-37. The Court based its analysis by relying on Sansone v. United States, 380 U.S. 343 (1965), where the Supreme Court observed that a conviction under § 7201 requires proof of a "tax deficiency." The Fifth Circuit then relied on the tax code's definition of "tax deficiency" - which does not include a tax penalty — to conclude that a conviction under § 7201 cannot be predicated on the willful evasion of a tax penalty. Id. at 236 & n. 3-4 (citing 26 U.S.C. §§ 6211, 6601(e)). The Court declines to follow Wright for several reasons. First, Wright does not discuss § 6671. Second, the phrase "tax deficiency" does not appear in § 7201, so the more limiting definition of "tax deficiency" (as opposed to the definition of "tax" found in § 6671) is inapplicable. Third, the issue in Sansone involved the circumstances under which a person charged with felony tax evasion is entitled to a lesser-included offense instruction for the misdemeanor of willful failure to pay a tax. Thus, it does not appear that when Sansone said the elements of § 7201 included a "tax deficiency," it meant to use the technical definition of the phrase as found elsewhere in the tax code. For these reasons, the Court denies Defendant's arguments with respect to Count I.
I have previously written on a tax iteration of the use of what I call derivative criminal liability -- i.e., not liability as a principal of the substantive offense but liability as an accomplice (aider or abettor) or a conspirator (Pinkerton liability). John A. Townsend, Theories of Criminal Liability for Tax Evasion (May 15, 2012), available at SSRN: http://ssrn.com/abstract=2060496. Basically, my concern was that by charging in the pleading that a defendant was a principal of the crime, an aider and abettor or causer of the crime, and a co-conspirator liable under Pinkerton, the Government was getting an advantage in the jury charge that overstated its case. At least in the context of tax evasion, liability for the substantive offense for nontaxpayers (return preparers or abusive shelter promoters) incorporated the other potential liabilities and, if the defendant was not liable for the substantive offense, he was not liable for the other nominal offenses. By charging the jury on all three, the impression could be given to the jury that if he was not guilty of one or two, he still could be convicted of the third. In this case, we are asked to decide whether the government may employ theories of conspiracy or complicity to charge a defendant with violating the Foreign Corrupt Practices Act ("FCPA"), even if he is not in the category of persons directly covered by the statute. The central question of the appeal is whether Hoskins, a foreign national who never set foot in the United States or worked for an American company during the alleged scheme, may be held liable, under a conspiracy or complicity theory, for violating FCPA provisions targeting American persons and companies and their agents, officers, directors, employees, and shareholders, and persons physically present within the United States. In other words, can a person be guilty as an accomplice or a co-conspirator for an FCPA crime that he or she is incapable of committing as a principal? I offer the U.S. Sentencing Commision's "Quick Facts" on key characteristics for sentencing for "Tax Fraud Offenses for fiscal year 2017. The pdf is available from the Sentencing Commission's web site here. I could not find a way to make legible copies of the pages on this blog page. The facts (mostly statistics) are for offenders sentenced under Sections 2T1.1 land 2T1.4 of the Guidelines Manual which are the tax guidelines. The 2018 Guidelines Manual is here. Readers should remember that, previously the Government would assert sentencing for FBAR violations under the tax guidelines. but the Government had a change of mind on the appropriate sentencing for FBAR violations. See Offshore Account Defendant Sentence with Court Accepting Government's New Position on Guidelines Calculations (1/25/18), here; Questions About New DOJ Tax Policy on FBAR Sentencing Guidelines (12/11/17), here; More on New DOJ Tax Position on FBAR Sentencing Guidelines (11/9/17), here. Another FBAR Plea And Notice of Government Change of Position on Applicable Guidelines (10/27/17), here. There were 584 tax fraud offenders sentenced, who accounted for 0.9% of all offenders sentenced under the guidelines. These seem low compared to the IRS statistics for sentencing. My spreadsheet with the statistics is here. The spreadsheet has links to the IRS statistics. I have not tried to reconcile the differences. The majority of tax fraud offenders had little or no prior criminal history (80.5%of these offenders were assigned to Criminal History Category I). The median tax loss for these offenses was $277,576. 87.2% of tax offenses involved tax losses of $1.5 million or less. 19.8% of tax offenses involved tax losses of $100,000 or less. Sentences were increased: (i) 12.5% for sophisticated means; (ii) 8.4% for leadership or supervisory role; (iii) 3.8% for abusing position of public trust; and 8.7% for obstructing or impeding the administration of justice. More than half of tax fraud offenders were sentenced to imprisonment only(59.1%). During the past five years, the rate of within range sentences for tax fraud offenders has decreased (from 36.1% in fiscal year 2013 to 26.5% in fiscal year 2017). In each of the past five years, approximately one-quarter of tax fraud offenders received a sentence below the guideline range because the government sponsored the below range sentence. Substantial assistance departures were granted in approximately 15 to 17 percent of tax fraud cases in each of the past five years, These offenders received an average reduction of 67.3% in their sentence during the five-year time period (which corresponds to an average reduction of 17 months). Other government sponsored departures were granted in approximately seven to thirteen percent of tax fraud cases in each of the past five years, These offenders received an average reduction of 68.1% in their sentence during the five-year time period (which corresponds to an average reduction of 13 months). The rate of non-government sponsored below range sentences increased during the past five years (from 40.8% of tax fraud cases in fiscal year 2013 to 45.9% in fiscal year 2017). Reductions for non-government sponsored below range sentences were smaller than in cases in which the government sponsored a below range sentence, with an average reduction of 59.0% during the five-year time period (which corresponds to an average reduction of 12 months). Reductions for non-government sponsored below range sentences were smaller than in cases in which the government sponsored a below range sentence, with an average reduction of 59.0% during the five-year time period (which corresponds to an average reduction of 12 months). The average guideline minimum ranged between 24 months and 26 months during that time period. The average sentence ranged between 15 months and 18 months during that time period. Caroline D. Ciraolo, of Kostelanetz & Fink, here. Robert S. Horwitz of Hochman Salkin Toscher & Perez PC, here. I call readers attention to a very good succinct article on benefits and risk of using a Kovel accountant. : Maintaining Privileges When Kovel Accountants Prepare Tax Returns by Evan Davis (Hochman, Salkin, Toscher & Perez Blog 10/29/18), here, which links to the article of that name in Tax Notes, here. The author's bio is here. Mr. Adams has invoked the attorney-client privilege over numerous communications between himself and accountants at Murry LLC, who were retained by his tax counsel under a so-called Kovel arrangement. See United States v. Kovel, 296 F.2d 918, 921–22 (2nd Cir. 1961) (holding that attorney-client privilege may apply to an individual’s communications with an accountant if the communications are “made in confidence for the purpose of obtaining legal advice from the lawyer”). The government raises three challenges to this assertion of privilege. First, the government argues that the protections provided under Kovel are not applicable to the individual communications before the Court for in camera review. Even if the protections of Kovel did apply, the government asserts that any protection was waived by Mr. Adams’s subsequent filing of amended tax returns. Finally, the government argues that the crime-fraud exception vitiates any claim of privilege. The Court has conducted an in camera review of the following Murry communications: In Camera Exhibits M, N, O, P, R, S, and T. For the reasons set forth below, the Court rejects the government’s challenge to the assertion of privilege regarding these documents. However, this Court’s decisions regarding the privileged nature of the specific documents at issue is expressly limited to these documents. The Court’s rulings should not be read to strengthen or weaken claims of privilege or discoverability as to other documents, evidence, or testimony as those issues are not now before the Court. Federal common law governs questions of privilege in a criminal case such as this. The attorney-client privilege protects confidential communications between a client and an attorney that are made for the purpose of obtaining legal advice. The party asserting that a communication is protected by the attorney-client privilege has the burden to establish that it applies. With respect to the government’s argument that the protections of Kovel do not apply to the Murry communications, the Court finds that Thomas Brever’s Declaration and Supplemental Declaration sufficiently demonstrate that the attorneyclient privilege extends to the documents at issue. In these declarations, Mr. Brever thoroughly explains how communications with Murry LLC and the information Mr. Adams provided to the accountants assisted in Mr. Brever’s provision of legal advice to his client regarding tax-related matters. This is sufficient to invoke the attorney-client privilege. See Kovel, 296 F.2d 921–22 (explaining that where an attorney retains an accountant to assist the lawyer in providing legal advice to a client concerning tax issues, the attorney-client privilege may extend to communications between the client and the accountant); see also United States v. Cote, 456 F.2d 142, 144 (8th Cir. 1972) (concluding that attorney-client privilege may apply where “the accountant’s aid to the lawyer preceded the advice and was an integral part of it”). The Court’s in camera review of the communications does not contradict Mr. Brever’s explanation. Notwithstanding our recognition that the attorney-client privilege attached to the information contained in the accountant’s workpapers under the circumstances existing here, we find that by filing the amended returns the taxpayers communicated, at least in part, the substance of that information to the government, and they must now disclose the detail underlying the reported data. information that that was included on the amended returns for 2008–2010. However, he did not disclose information communicated by Mr. Adams in connection with requests for legal advice. Mr. Brever’s explanation distinguishes this case from Cote, where the accountant “testified that the information on his workpapers was later transcribed onto the amended returns which were filed by the taxpayers with the government,” thereby waiving the privilege. The Court cannot conclude on this record, which includes the Court’s in camera review, that Mr. Adams is claiming privilege over the underlying details for the data that was ultimately transmitted to the IRS when he filed amended returns. Instead, the record suggests that the information conveyed to the accountants at Murry LLC comprised the type of unpublished expressions that were not later revealed on the amended tax returns. In United States v. Burks, 2018 U.S. App. LEXIS 23804 (4th Cir. 2018) (unpublished), here, Burks was convicted of "conspiracy to commit mail and wire fraud, substantive mail and wire fraud, and conspiracy to defraud the United States by impairing the lawful functions of the Internal Revenue Service." He was sentenced to "176 months incarceration concurrent on the counts involving mail and wire fraud, and 60 months concurrent on the conspiracy to defraud count, as well as being ordered to forfeit $244 million." This should tell you that the defraud / Klein conspiracy was not the principal driver in this case which involved the more serious mail and wire fraud charges for a Ponzi scheme. I will get to the defraud / Klein conspiracy, but want first to mention that one of the banks involved filed "multiple suspicious activity reports with the United States Treasury." I won't get further into that, but this is a good warning to the practitioner community that these reports are filed and the depositor is not notified. ¶ 12.05[b][iii] Complexity and uncertainty in the tax law. One defense to a tax crime is that the legal duty upon which the criminal charge is based is not sufficiently certain to put the defendant on notice that failure to honor the uncertain duty can be an intentional violation of a known legal duty. The seminal decision is James v. United States. The issue was whether James could be prosecuted for evasion under Section 7201 for failing to report and pay tax on embezzled income. James had been convicted of failure to report and pay, meaning that the jury determined guilt, which further meant that the jury determined that he intentionally violated a legal duty he knew to report the income. The question was whether, because of legal uncertainty as to the duty, he could be convicted even if he had a subjective intent to violate a duty that he “knew” (at least thought he knew). The Supreme Court majority found that the substantive issue of taxability of embezzled funds was in doubt — a doubt of the Supreme Court's own making. In an earlier case, Wilcox, the Supreme Court held that embezzled funds were not income for federal tax purposes. The underlying premise was that embezzled funds gave rise to an offsetting obligation to pay back, so the defendant had no increase in wealth and thus no taxable income. After that holding and before James, the Supreme Court decided in Rutkin that extorted funds were income despite an obligation to repay, thus rejecting the theoretical underpinning of Wilcox. In Rutkin, the Court expressly declined to overrule Wilcox. That was the state of the law when James was convicted. So Wilcox's express holding that embezzled funds was not income stood un-reversed; James presented the issue of whether James could be criminally prosecuted for failure to report embezzled funds that the un-reversed Supreme Court authority squarely on point held was not income. We believe that the element of willfulness could not be proven in a criminal prosecution for failing to include embezzled funds in gross income in the year of misappropriation so long as the statute contained the gloss placed upon it by Wilcox at the time the alleged crime was committed. Therefore, we feel that petitioner's conviction may not stand and that the indictment against him must be dismissed. The bottom line holding is that, given the confusion as to the objective legal duty, James could not be prosecuted. It did not matter that the jury had determined that James had willfully failed to report the income, a holding that logically meant that James had not placed any reliance on the confusing Supreme Court authority. It did not matter, as the jury found, that James had the darkest of motives vis-a-vis the federal tax system. All that mattered was that, as a matter of law regardless of the facts, the legal duty was uncertain and thus could not support a criminal prosecution. James is still viable on this issue. James spawned other cases in which convictions were reversed, but reversals are not common. In United States v. Garcia, ___ F.3d ___, 2018 U.S. App. LEXIS 29554 (11th Cir. 2018), here, the indictment charged the defendant and her late husband (who died before trial) of (i) one count of conspiracy (both offense conspiracy and defraud / Klein conspiracy) and (ii) three counts of tax perjury (§ 7206(1). Garcia was convicted on all counts. Finally, the jury got to consider the testimony of the defendant who vigorously denied knowingly defrauding the United States. A defendant's testimony is substantive evidence that a jury may -- and indeed in this case did consider and reject. A statement by a defendant, if disbelieved by the jury, may be considered as substantive evidence of the defendant's guilt. As the Supreme Court has explained, a defendant who chooses to take the stand runs "the risk that in so doing he will bolster the Government case enough for it to support a verdict of guilty." McGautha v. California, 402 U.S. 183, 215 (1971) [subsequent case history omitted] An explanation or denial offered by a defendant at trial that the jury finds implausible or false may form a sufficient basis to allow the jury to find that the defendant had the requisite guilty knowledge. Garcia's decision to testify at trial thus, ironically, added further weight to the prosecution's case. It is abundantly clear that the primary issue contested at trial was whether the defendant knowingly and willfully participated in the tax conspiracy. We repeat that the jury ultimately convicted Garcia on three substantive tax charges, which were included as objects of Count One.